Rabbi Daniel and Rabbi Marjorie are enrolled in a two-year study/retreat program with Rabbi Shefa Gold, a noted practitioner of Jewish chant. 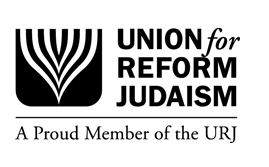 Based in part on their learning from this program, Rabbi Daniel will begin leading a monthly non-denominational service, open and welcoming to everyone of any faith. The service will feature teachings on spirituality and prayer, Bible discussions, and chanting. It will also have a focus on dealing with and healing from what is troubling our souls and weighing on our hearts. Rabbi Marjorie will join in when she is not in Philadelphia leading her own programs and services. While this service will draw on Jewish teachings, it will be almost entirely in English, with the only Hebrew being in simple-to-learn chants and songs. It is specifically designed to be comfortable both for Jews and non-Jews, and we hope it will provide a welcoming home to all those in search of a progressive faith home, including the LGBT community, those interested in reconnecting to nature and so on. It will be held mostly on the second Saturday of each month. All services will begin at 10:30 and last for approximately one hour. Give it a try – and help us spread the word to anyone you think might be interested, within and outside of the Jewish community.